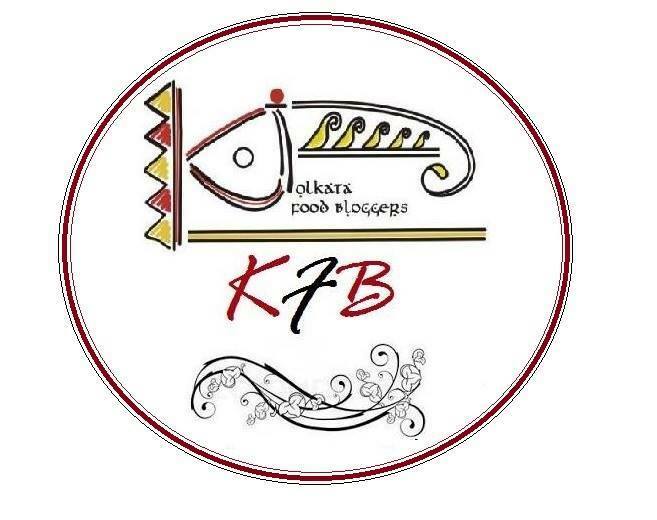 Probably this particular post will clear the clouds of a special 'soft corner' that I have developed over past few years for the Four Seasons Wine brand without taking away the credit, contribution, accomplishments and market standing of other prominent wine brands in India. For me, however, it was the Four Seasons that first introduced and unlocked the mysteries of wine to me in their ongoing efforts to educate Indian public at large of the wonders of wine through their wine trail events. Ever since, my culinary world has taken a higher dimension with the addition of wine pairing. 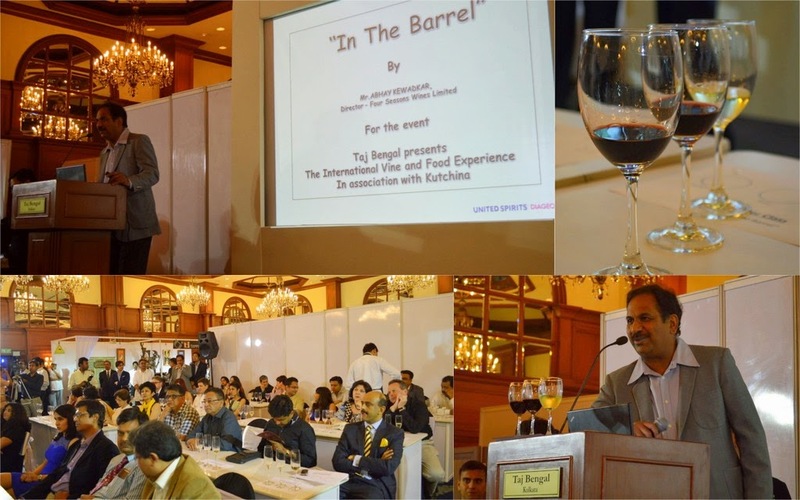 The International Vine and Food Experience at Taj Bengal was the very first of its kind in Kolkata and in such a huge scale where numerous Indian and International wine brands came together under a single roof. 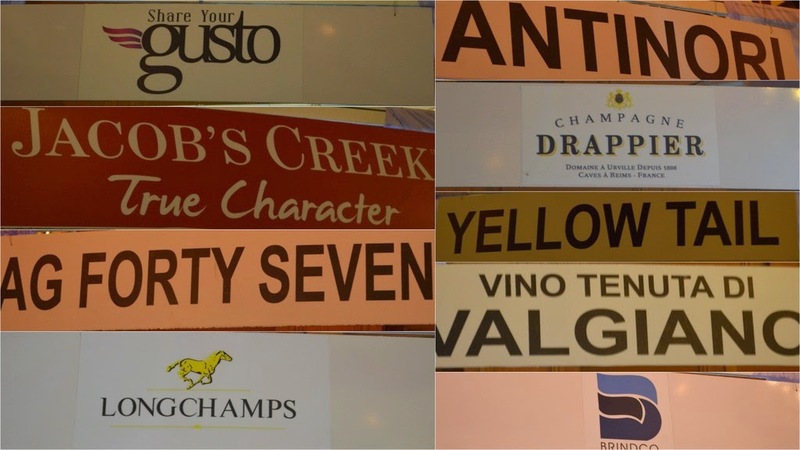 You could sample from a range of more than hundred Indian and International wines. I wish to sincerely thank the Four Seasons for inviting me to cover their participation in this event. 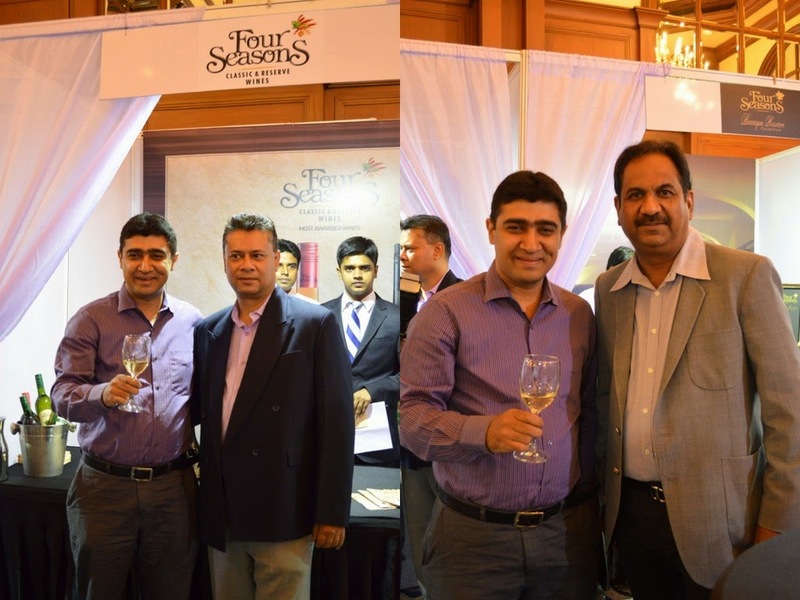 The Four Season's station had all their range of wines to be sampled, which they harvest and process in Maharashtra. The range included Viognier, Chenin Blanc, Sauvignon Blanc, Merlot, Blush, Shiraz, Cabernet Sauvignon etc and my personal favourite the Barrique Reserve Cabrenet Sauvignon and Barrique Reserve Shiraz. Master Class by Abhay Kewadkar "In the Barrel"
No wonder that the Barrique Reserve from Four Season is truly a result of such intricate art of wine making where the oak barrels are imported from France itself and wines are matured for months at a time which gives an infusion of a beautiful woody vanilla flavours and other complexities to pamper our taste buds. 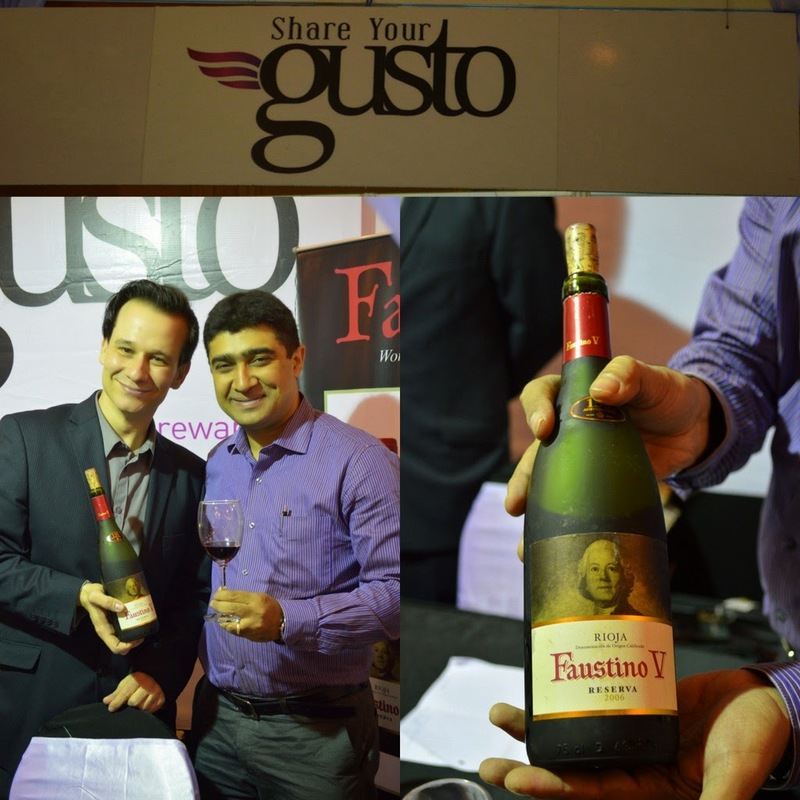 I enjoyed the company of very charismatic F. Javier Perez Bernal of Grupo Faustino representing the Gusto brand. He shared with me a very special Faustino V Reserve from the region of Rioja in Spain. 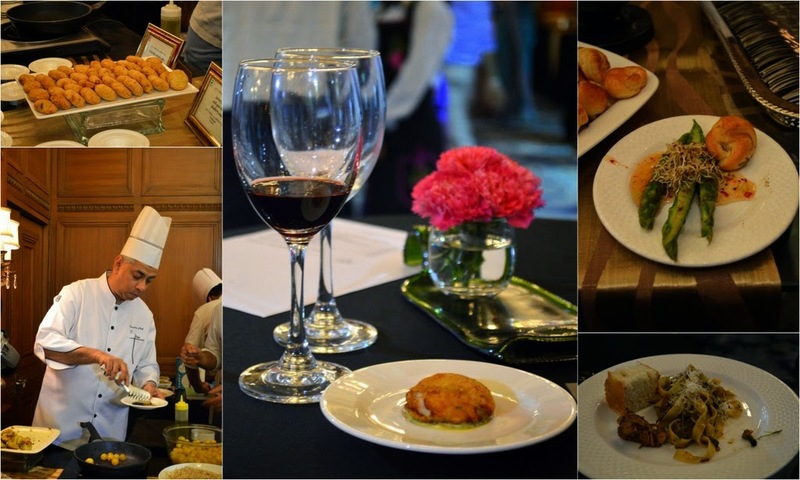 The evening was marked with many prominent chefs displaying their culinary expertise. It was truly a great combination of great wine and great food. I believe that the appreciation for wine in India is perfectly poised to take off at a remarkable rate and events such as this would contribute to spreading the awareness and go on to build a strong base for people to be educated. Certainly with the explosion of the food industry it is only a matter of time when India sees itself as a major consumer of wine. 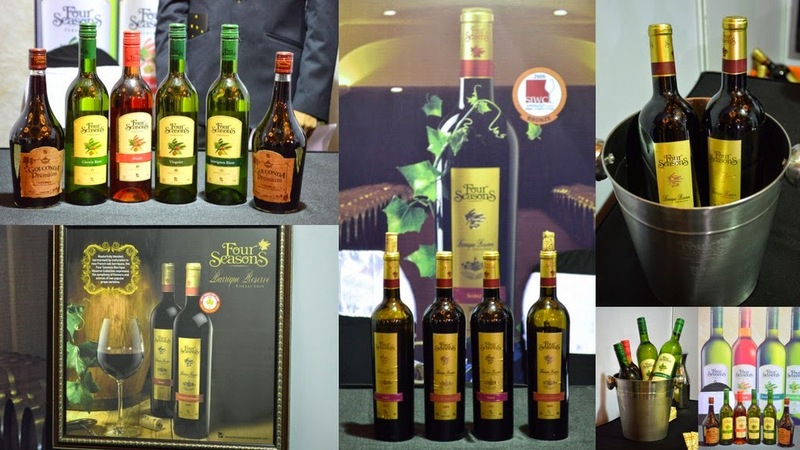 I wish to thank Four Seasons Wine again for their cordial invite as a part of their team to cover their participation and also congratulate all the wine brands and Taj Bengal as a whole for organizing such an event. 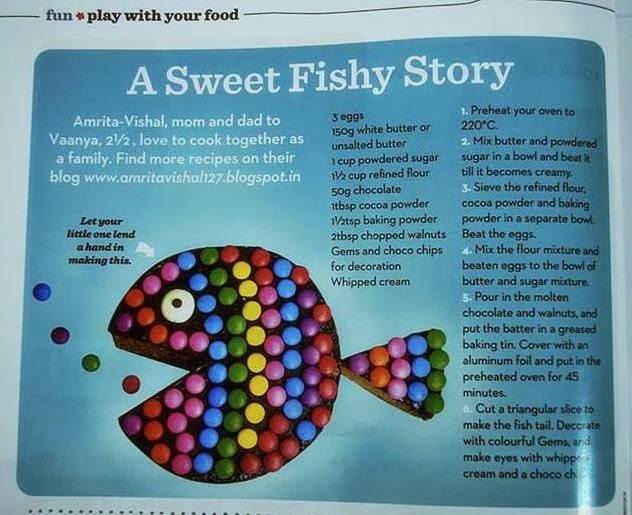 Read about Kamalika's experience of this event here. Disclaimer: Views expressed above is purely individualistic and without any monetary compensation.